As to the rapid improvements in a (then) new technology, the internet, gambling found its way to the private screens of an ever-growing player base of online gambling fans. The first standalone casino introduced on the internet was InterCasino back in 1996. As is custom even today, InterCasino bought its software from a gaming software developer that just so happened to be Waterlogic, the subsidiary of CryptoLogic. Upon its launch, InterCasino offered 18 games, which was pretty impressive back in the day. By the start of the new millennia, there were hundreds upon hundreds of online casinos that offer a multitude of games, and they were directly inspired by the pioneers of the newly found industry. Even though it was not launched in the UK, InterCasino was the first standalone online casino to be introduced to the UK public. Introducing bonuses that represented an absolute game changer in the industry, it was not long until it got a massive player base in the UK. Even though Microgaming were claimed to be the first ones to offer online gambling experiences, they soon abandoned the idea and concentrated on supplying other companies with their unique games, which was a proven success. It was apparent that online casinos very much differ from real casinos because of factors such as a different physical environment, the rapidness of how various games are played and because of its bonuses. The unique style of bonusing is what actually attracts so much players to online gambling rooms. In layman’s terms, bonuses for online casinos are given to the player mostly immediately, but with a certain catch. The most common bonus, play only bonus is a bonus in the form of real money that can never be withdrawn or handed to player in physical or even electronical form. The bonus can be used for future wagers until its expiry and can never be used outside the gaming environment. It was one of the first forms of gaming currency, if you will. That being said, there are different bonuses that the player can actually withdraw, but there of course is a catch to those ones as well. Most of these withdrawable bonuses come to the player immediately. For example, initial deposit made by the player gets 100 % on top at once, which means that the initial investment actually doubles, but the player cannot withdraw it just yet. It has to be wagered up to 20 times until it can be withdrawn. 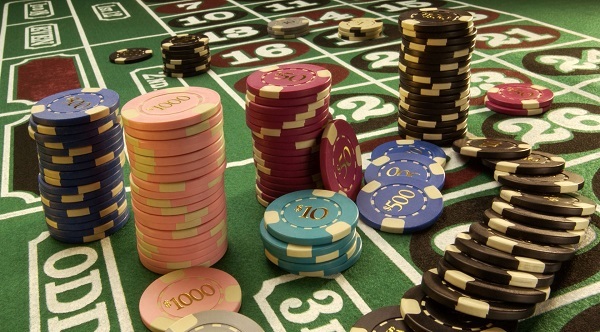 Of course, the percentages and wager counts differ from casino to casino. Not all casinos ask for a deposit at first, some casinos do offer free to play bonuses which are granted to the player upon their first set of games. Statistically, more than 95 % of new players loose most of their bonuses so some casinos find it pretty safe as to offer such a deal to new players. This new way of rewarding players proved to be one of the staples of what the online gambling industry can actually offer – a completely new gambling experience. Today, it is safe to say the online gambling market of the UK is striving. The fact that the UK market was the one which expanded the most in the shortest period of time says pretty much everything about the state of the market today. As in every industry, it changed over time due to constantly changing regulations and is sometimes still under the governments magnifying glass, but stronger than ever.